Home Tags Posts tagged with "international olympics committee"
London 2012 Olympics closing ceremony has started with a performance charting a journey through a day in the life of the capital city. 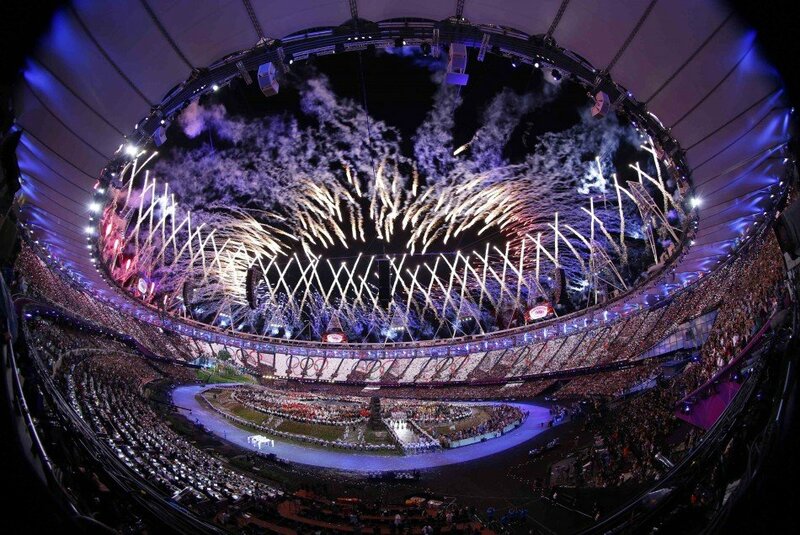 After 16 days of competition, the show, said to be a celebration of British people, music and culture, kicked off at 21:00 BST at the Olympic Stadium. More than 4,100 performers are taking part in A Symphony of British Music. The climax of the ceremony will see the Olympic flame being extinguished and the baton passed to Rio de Janeiro. The finale is set to feature the best of British music, including artists such as George Michael, the Spice Girls and rapper Tinie Tempah. Closing ceremony artistic director Kim Gavin has described the closing ceremony as a “mashed-up symphony”. Kim Gavin said it would showcase “British creativity in the arts” and take people on a musical journey from Elgar to Waterloo Sunset in 30 tracks. The director explained that while the national flags would process in, the athletes would come in together as “friends” rather than country-by-country as in the opening ceremony. The Olympic flame will be extinguished and the figurative baton passed to the organizers of the 2016 Games in Rio de Janeiro, who will also make a presentation celebrating their multicultural roots. As the Olympics drew to a close, the US topped the final medal table with 46 golds, followed by China with 38 golds. GB came third with 29 golds – their best tally since 1908. Among those to have set new world bests included Kenyan David Rudisha in the men’s 800 m and the Jamaican sprint relay team, one of three golds during the Games for Usain Bolt. US swimmer Michael Phelps became the most decorated Olympian in history while cyclist Sir Chris Hoy’s two gold medals meant he became the most successful British Olympian of all time. The International Olympics Committee president Jacques Rogge said he was “very happy” with the Games, and he was a “very happy and grateful man”. “It has been a dream for sports lovers,” he said, adding that history had been made by many athletes. The revamped 560-acre (227-hectare) Olympic Park site – to be known as the Queen Elizabeth Olympic Park – is set to reopen in stages starting on the first anniversary of the opening of the Games, on 27 July 2013.